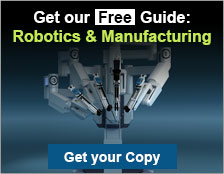 Composite Bearings for Robotics | TriStar Plastics Corp. 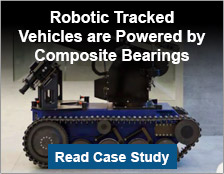 In the past, rolling element bearings have been the go-to-material for robotic applications. Yet plastic bearings offer clear advantages. They are greaseless, durable, and maintenance-free, and are available in stock shapes, or can be custom fabricated to your specifications. Military - Ultracomp bearings are used in the lifting arms and robotic grips of robotic tracked vehicles utilized used to remotely defuse IEDs in Afghanistan. 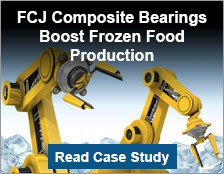 Food Production - FCJ bearings are used in packaging and palletizing robotic arms. The bronze bearings originally used were seizing due to the sub-zero temperatures and moisture accumulated from the frozen foods being handled. Automotive - Custom FCJ bearings are used with high precision in ID dimensions for tight tolerances in automotive robotic arms. They give long-term service life and never need lubrication. 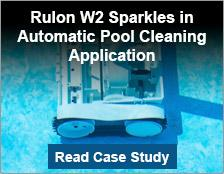 Medical - FDA-compliant Rulon plane bearings are used in medical and surgical applications (such as surgical robotic devices and rotary vane pumps). They offer superior sanitation without lubrication, which is particularly critical in a sterile medical environment. 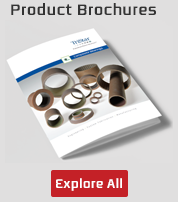 Rail - CJ filament-wound bearings are ideal for repetitive linear and oscillating applications, such as those found in rail-clearing arms and rail wash systems. They also offer superior compressive strength to give robotic arms reliable, high-impact service for years. 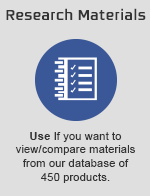 Connect with TriStar to explore how engineered plastic bearings can make a difference in your robotic application. 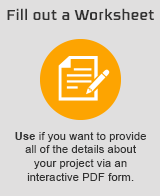 Or request a quote today. 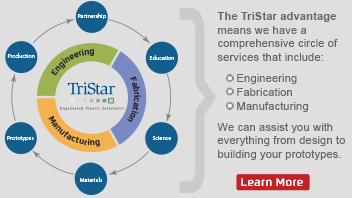 Contact us today to learn more about how TriStar can help you work through your robotics challenges.